Abide by the relevant laws and regulations and control environmental factors and hazards to prevent all kinds of occupational injuries and environmental pollution. We have established ISO14001 and OHSAS18001 EHS management systems to recognize all the possible environmental and security risks during operation of the company. Since then, three systems:ISO9001, ISO14001 and OHSAS18001 run simultaneously across the whole company, which marks that TFC is taking firmer step towards standardized and international management. On the premise of the honesty management, we will always abide by business ethics, produce high quality product and undertake the responsibility of the public service for the society. We always adhere to the harmonious and balance development of environment, resources and company management. Protecting the global environment has been the important responsibility of TFC. We respect the nature with green environmental production. · Set up and evaluate the goal indicators of environmental safety and health and make improvement continuously. 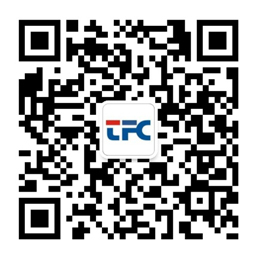 · By improving yield and quality, TFC could bring down the mutual quality cost for TFC and customers, and reduce the adverse effect to the environment.